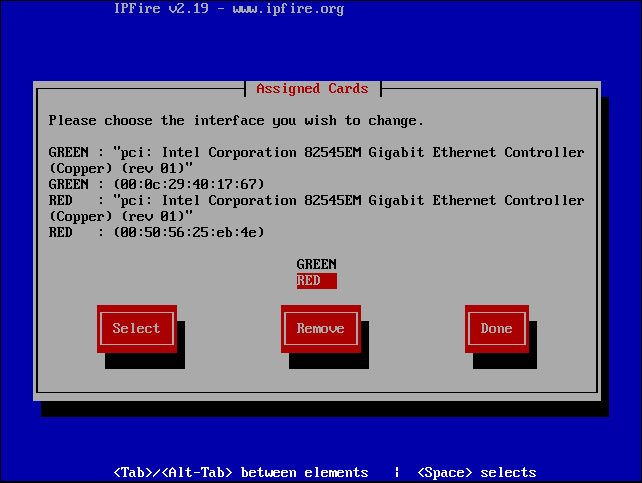 This is definitely an edge case, but if you’ve got a bunch of old 3Ware 9650SE RAID cards laying around, they will work in ESXi 5.5. You’ll need to either create a custom ISO or add them via SSH after the install. Adding them post-install is easier for me than making another custom ISO. I’ve set up 2 ESXi servers (old x58 chipset MBs I had laying around) to do some clustering. I picked up 5 9650SE RAID cards off of eBay for $55, including cables, and cobbled together some RAID volumes from the stacks of HDDs I had laying around. No more free ride for commercial/business users. VMware Player is free for personal non-commercial use. 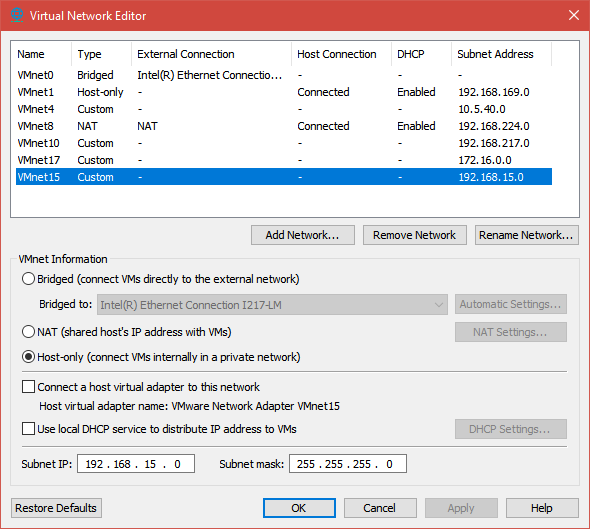 Can I run restricted virtual machines created by VMware Workstation or VMware Fusion in VMware Player? Yes, if you purchase a VMware Fusion Professional license to enable this features in VMware Player. Update: HVRemote is now updated and supported for Win8.x and 2012, 2012 R2. 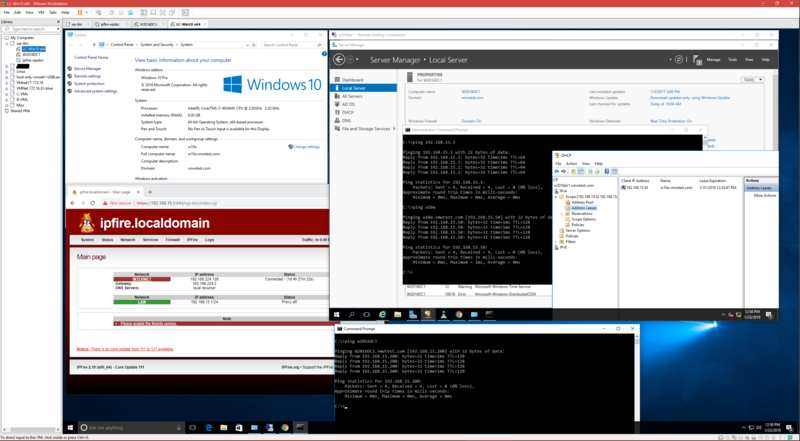 This is what I did to get this working for a Windows 8 computer on a domain and a Hyper-V Server in a workgroup on a separate subnet. 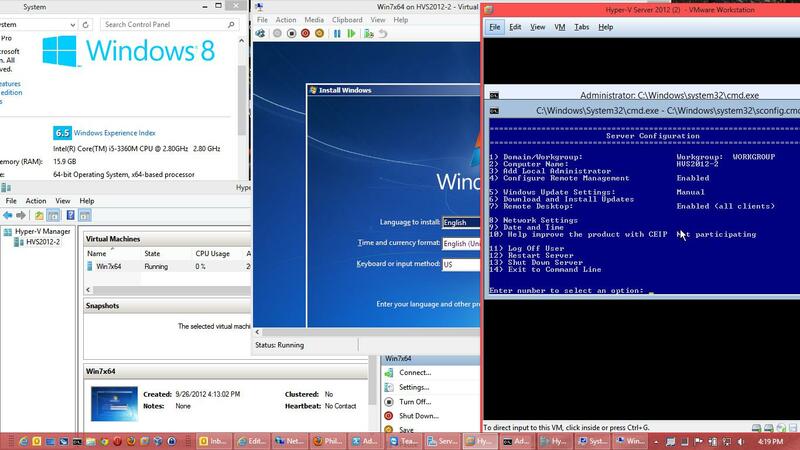 In this case, Hyper-V Server 2012 (HVS2012) is running in a VM on Workstation 8 on the Windows 8 machine and using the “host only” VMware network. This assumes you’ve installed and are at the “Server Configuration” window. Note: I’ve found that seems to help is the use the same username and password that you’re using on the Win8 computer for the HVS2012 server. At some point, you should get a prompt from the Windows firewall about allowing traffic through for this. For more options for server management, get the RSAT for Windows 8 here: http://www.microsoft.com/en-us/download/details.aspx?id=28972 (there are still some issues with RSAT, like connectivity to Device Manager, Disk Management, remote PowerShell.) When I’ve added my HVS2012 server to Server Manager I get a “Kerberos authentication error” but am able to open Users, Groups, Services, etc without issue from Computer Management. Remote Desktop works also. I’ve ran “winrm qc” on HVS2012 but it doesn’t seem to help. I’m no Kerberos or Powershell guru so I’m open to any steps to move beyond this. Note: when you set up a Virtual Network with only one NIC you’ll get an RPC error message in the Hyper-V Manager, if you close it out and restart it, you’ll likely need to re-add it to see it again. I’ve been playing around with the new vSphere 5 Hypervisor (ESXi5) lately and I came across a few cool tricks from virtuallyghetto (http://www.virtuallyghetto.com/2011/07/how-to-enable-support-for-nested-64bit.html): running x64 VMs on ESXi5 while itself is a VM under Workstation 8 and running VMs under Hyper-V server under ESXi. 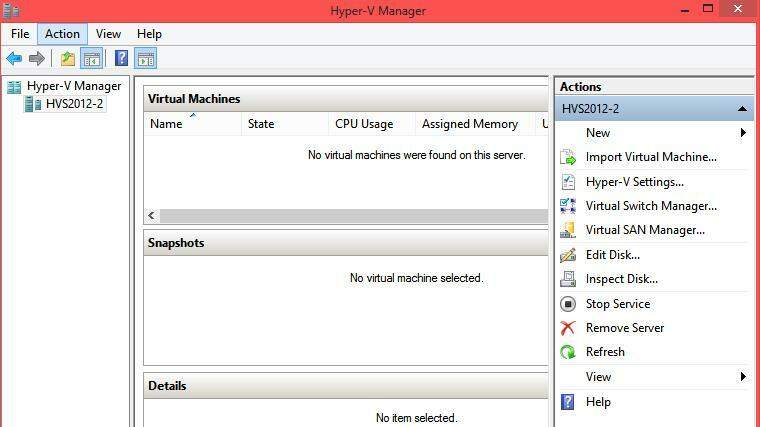 Running a Hyper-V VM while Hyper-V is itself a VM under ESXi5 does work, it’s not really something you’d want to do, unless you’re masochistic. I was able to get Windows 2000 Pro running walking as a VM successfully. The stability of ESXi seems to be greatly affected by doing this also, since my ESXi host hung at some point overnight. Supported VMware platforms: VI3 or later, vSphere, ESX, ESXi.